Do you share your accounts or equipement? (Y/N, if Y specify with whom): No I don't. Have you used a Name Change Scroll? (Y/N, if Y specify all previous names): I just made this character 5 days ago so.. Nope. Have you been a member of any previous guilds? (Y/N, if Y specify all previous guilds): Yes, OmegaImage and Mastermage. Do you have have any characters currently in other guilds? (Y/N, if Y specify character and guild: No, I believe i don't. Do you have any friends currently in iCe? (Y/N, if Y specify whom): Actually I don't. How long you play a day +/-: Depends on the mood or If I'm busy with life and such.. Perhaps 1-2 hours during weekdays and 3-5 hours during weekends. How long you have played Flyff: I believe since it was v3 or v4. 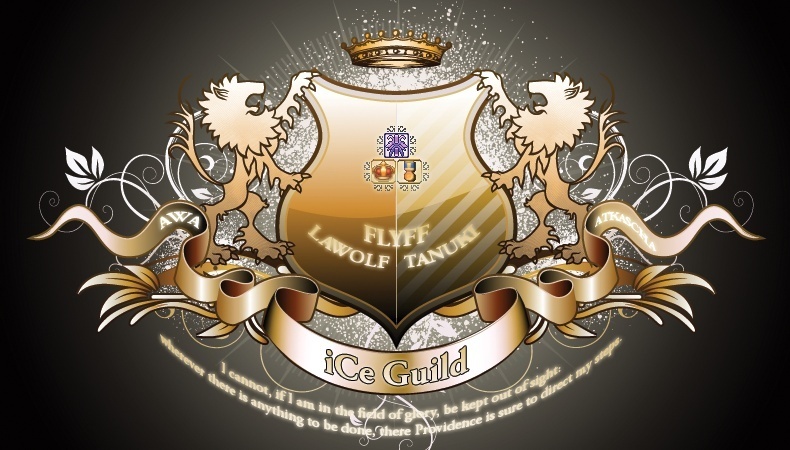 What is your motivation for joining iCe: To meet new people and make friends and also if i could be any help in the guild siege or helping people with leveling and such. Give us a reason why we should consider you: I'm loyal, kind and friendly. I will do my best to help the others with their problems weather in-game or IRL. It's not about art skills, it's about blowing skills. What do you mostly do while in flyff? What do you focus on PvP or PvM? Well since i just made this characters like 5 or 6 days ago.. most of the time I'm trying to sell stuff or buy stuff. And sometimes go to the arena too. welcome to our forums, Penta. The application process will probably take a few days up to a whole week. Once the guild has come to a consensus, i'm going to contact you in order to tell you the result. you're from v3/v4 and you're claming that you've only been in 2 guilds? v3 is kind of like 7 years ago. I do not want you to list up all random you've been in, but just 2 guilds seems to be weird. yeah i was playing since v3 or v4 and during that time i achieved lvl 40 which took me months to reach xD.. and i was in a server called aibatt before the server fusion thing appeared. So im kinda new to this whole thing. 2. What are your plans for your Arc - target gears and upgrades? 3. Best item you have on right now. 4. Are you committed to being active NOW, given your long hiatus. If you're not comfortable with answering these here, please approach any iCe member so he/she can discuss it in our internal poll. I kinda don't understand your first question, from what i understand-ed is which type of character i am..? I'll be mostly doing PvP. Well, I'm looking for DCT + STA Equips since I'm a pure INT Arc. Actually it depends.. In week days I might play for like 1~3 hours since i go to college. However, in week ends probably more. your application to iCe has been accepted. Please contact me ingame to recieve your well earned guild invite.